‘Tis the season to be jolly! Join NBC 5 and the Dallas Theater Center for the premiere of A Christmas Carol! Come and enjoy this spectacular performance November 22 through December 28 at the Wyly Theater in Dallas. Friday Night Lights and Veep fans will see a familiar face! 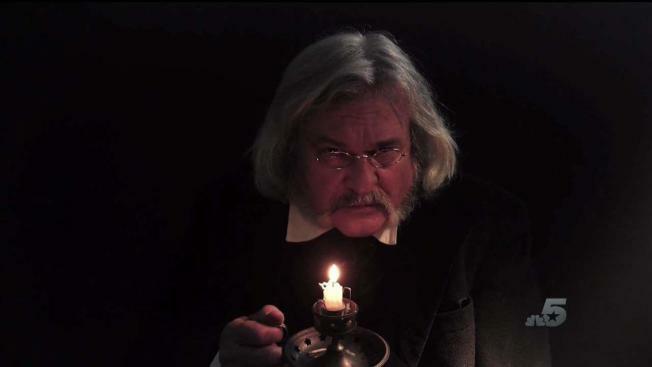 Brad Leland stars as Ebenezer Scrooge! Brad is well known for his role in NBC’s Friday Night Lights as Buddy Garrity and in HBO’s Veep. This is the 10th year that the Dallas Theater Center has partnered with the North Texas Food Bank. All attendees are highly encouraged to bring canned and non-perishable items, as well as make a monetary donation following the performance. Purchase your tickets online at www.DallasTheaterCenter.org. Please note this show contains moments that may be scary for very small children. The performance is recommended for elementary school aged and up. Monday – Thursday 7:30 p.m.
Friday and Saturday matinee - 2:00 p.m.
Friday and Saturday evening 8:00 p.m.